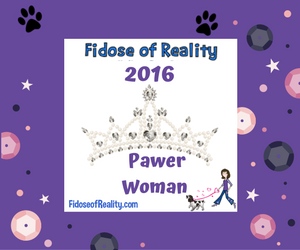 Just because we've been incommunicado for a few weeks, doesn't mean Coco & I haven't been out and about...far from it! 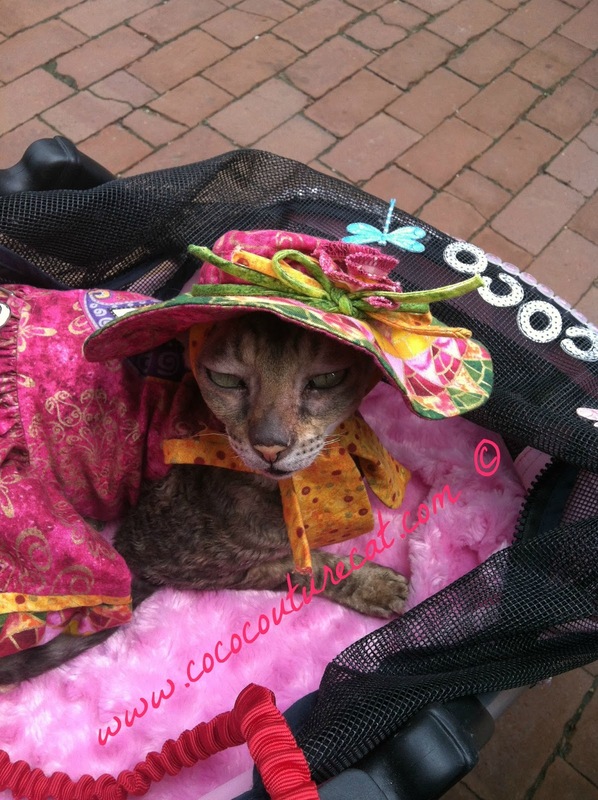 While Coco may look nonplussed in the above photo, I think she enjoys her Saturdays entertaining the hundreds of visitors at the Farmers Market at Lake Anne Plaza. 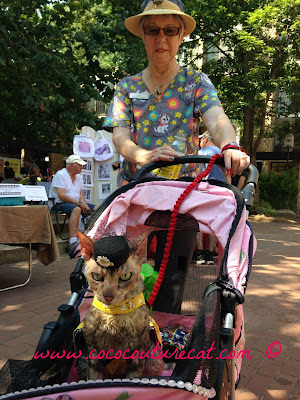 Every other Saturday, the cat clinic where I work (to support Coco in the manner in which she has become accustomed) has a booth out in front of the clinic, and Coco attracts a lot of attention from the crowd. 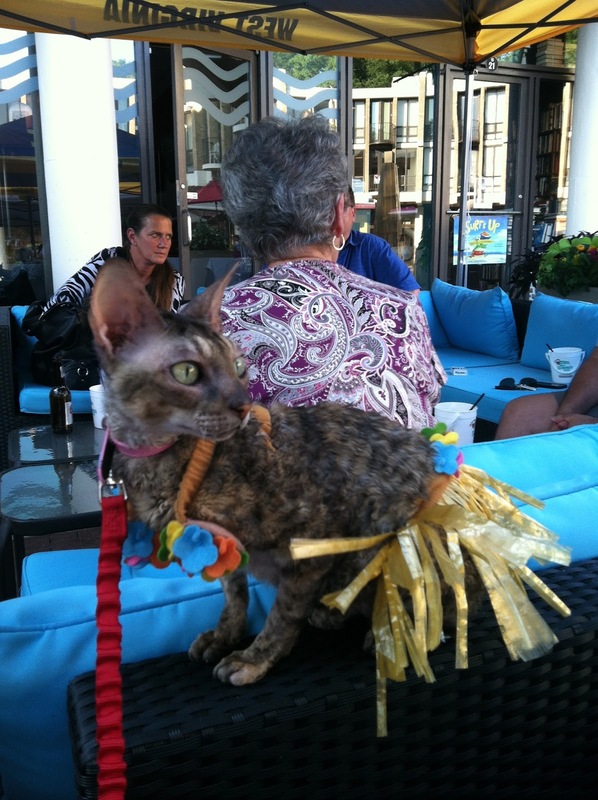 We attended a fundraiser for a sick kitty and the theme was Hawaiian Luau and Coco wore a grass skirt and a lei in lieu of a hat! 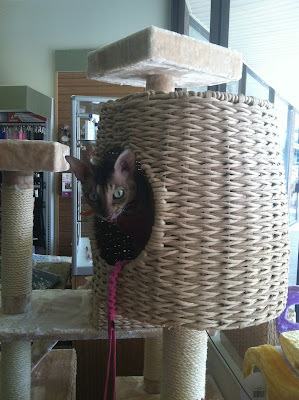 And then she had fun trying out all the 'Tropical' Cat Trees after the Luau! 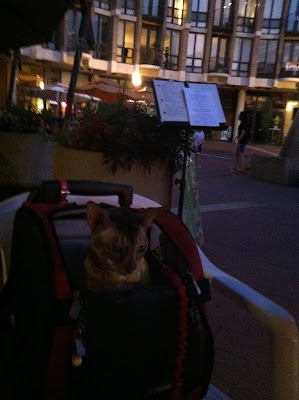 Then afterwards, Coco and I got to have a nice relaxing dinner at a fine French restaurant, where I shared my calamari with her...of course I did! 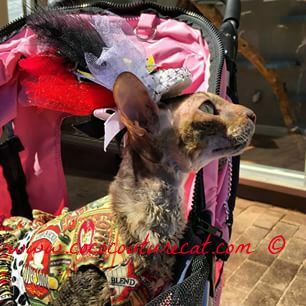 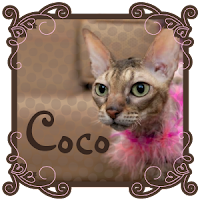 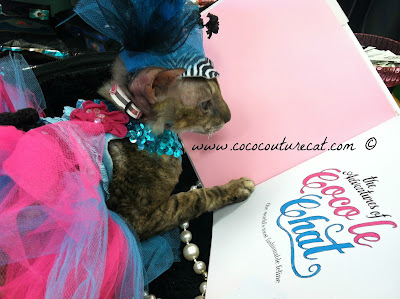 We have a book signing coming up on August 15th at The Cat's Closet in Fredericksburg, Virginia and we will have pawtographed copies of the wonderful book featuring Coco, The Adventures of Coco le Chat, the world's most fashionable feline, for sale and Coco will do her best to look at the camera if you stop by to say hello! 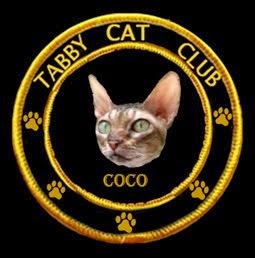 It looks like you've been quite busy, Coco! 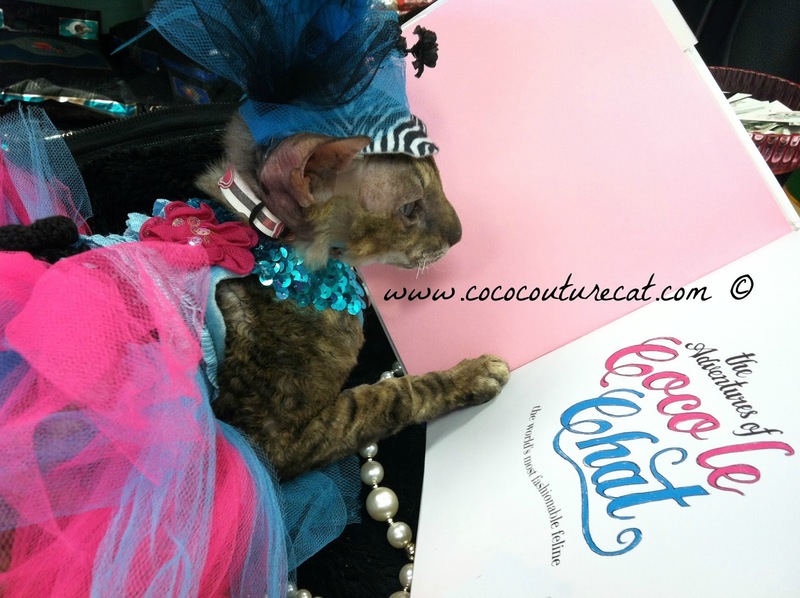 Coco, you are such a cosmopolitan kitty!